I hope that Russian-speaking parents of young children are able to tell the difference between correct, good Russian language and bad, illiterate one. 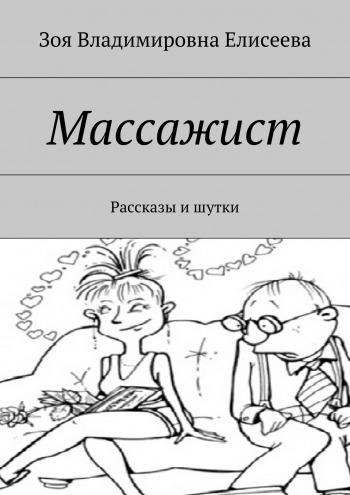 I now, by chance, came across a site where I saw a children’s fairy-tale posted in a bad, illiterate Russian language. I emphasize, that I am not a political person, and I do not have any favoritism towards any countries, however, I have to mention that the site I am mentioning here is from Ukraine. It is seen from the site’s address. I understand that the creators have already lost the good command of Russian language, however they want to use it to attract the visitors. It is a shame when people cannot edit their own texts and are unaware of their bad quality. With this comment I just want to warn the readers, especially the young parents who teach their children – please be aware of the existence of the bad quality texts on internet. Educate yourself! Go to educated, reliable sources. Do not read to your children distorted language. Russian language is rich and beautiful. One has to learn it, and appreciate its value. Надеюсь, что родители, которые читают своим детям сказки с интернета умеют различить плохое качество текста от хорошего. Я сейчас набрела в интернете на один сайт детских сказок и неприятно удивилась ужасному тексту сказки на русском языке. Язык исковеркан, отвратительные речевые обороты. Хочется предупредить, что есть и такие безграмотные сайты. Я не хочу делать никаких нападок ни на какую страну в особенности, но все-таки замечу, что сайт тот был с Украины. Это можно заметить по интернетному адресу. Видимо, у людей осталось какое-то плохое знание русского языка и они не стесняются выставлять это на всеобщее обозрение. I have a few books that I authored – at home. They are for sale. Mostly they are 1st editions of my books that have my previous last name on them, so the author will look like “Zoia Sproesser”. In 2014 I divorced Sproesser and took back my maiden name – Eliseyeva. 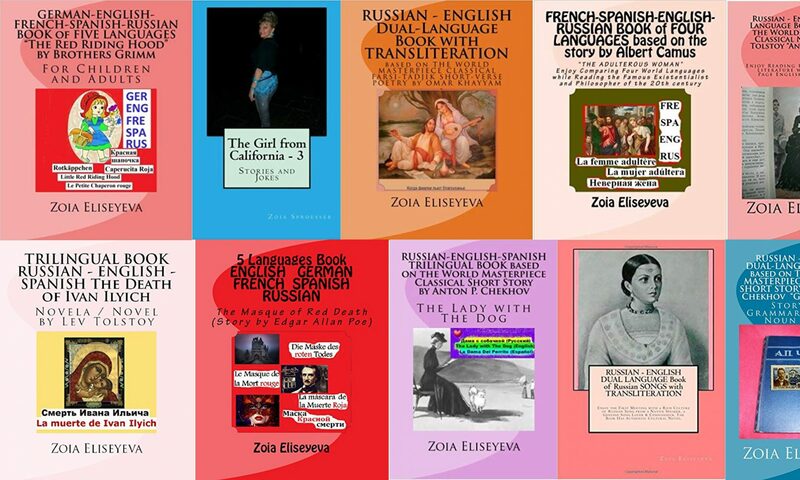 After December 2014 I re-published a few of my books with “Zoia Eliseyeva” as author on them. However, I did not republish all of my books, that are about 20 by now, so a reader can find my books with the both last names online. 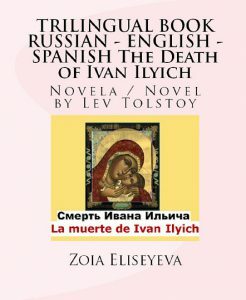 I tried to discontinue the 1st edition with “Zoia Sproesser” on it for those titles which I republished as Zoia Eliseyeva. 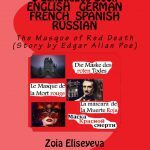 At home I do have a few books of the 1st editions, like “Chekhov and Goncharov – Russian-English”, or “Moidodir – Russian-English”, or The Masque of Red Death – 5 languages (Eng-Ger-Fre-Spa-Rus). 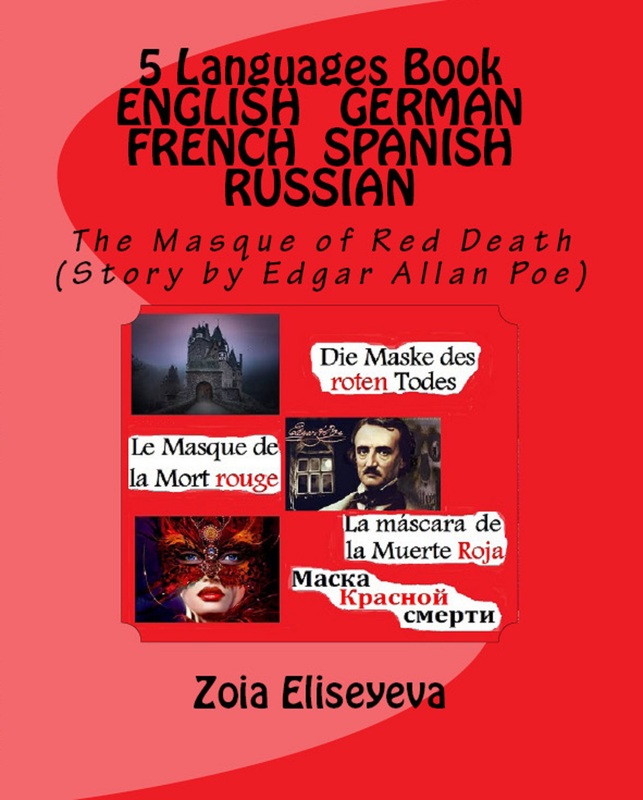 Actually, “The Masque…” I created already after December 2014, so the name on it can only be Zoia Eliseyeva. I will edit this article to enclose the list of my books on sale with prices. I just wanted to let the visitor of my site know that I do not have drastic* measures with customers like Amazon does. If you order my book, I will just send it to you from a local post-office with the shipping charge as $3.00. It is hard to tell exact shipping charge until one is at a post office with that book, however, for one book it is unlikely will be higher than that. I will start the list with the book that I have mentioned. Attention, visitors! My List will be adding, as I have time. I just started here with my first book. (Jan. 3 2019) The list will go from down to up. You will always see the last post on the top, and the very first you will find on the bottom. This Russian language UTube extract is read by Zoia Eliseyeva who is a native speaker of Russian language. The following is the link to Kindle 2nd (Extended) Edition of the book. Link above is the link to Kindle Edition Price $5.79 2nd Ed. 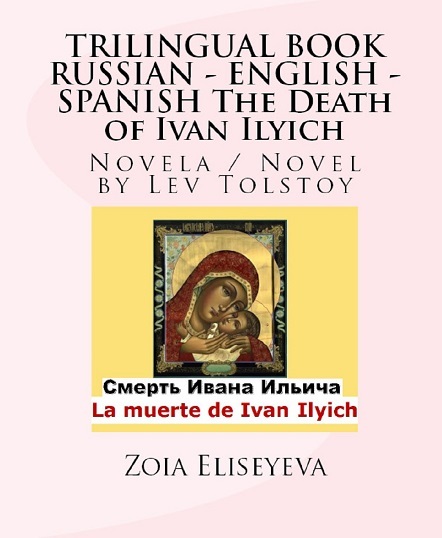 2015 (Extended: 83 pages – Kindle edition, and 162 pages the same edition in paperback) by Z.Eliseyeva. Here I have a rhetorical question: Why is the Kindle edition 2 times shorter in number of pages than a paperback? Because they “crumple” all the text? In that case, this parallel text may not lay out well in e-format, unless e-format pages are 2 times longer/bigger in size. The whole idea of English and Russian parallel text of this book is to see simultaneously English paragraph and the corresponding to it Russian paragraph. 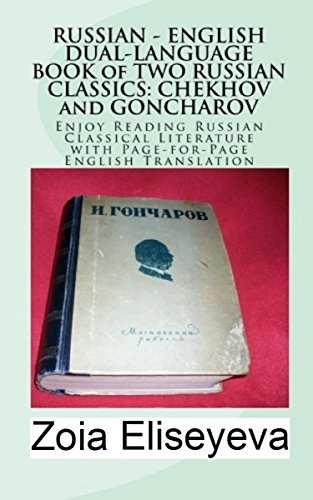 Dual-Language Book Chekhov and Goncharov, 56 pages, $9.00 total, Shipping included. The price includes a partial self-cost of the book from Publishing company plus Shipping/Handling. Compare: Amazon just (Jan. 3 2019) charged $11.28 the buyer of this book, of which $6.08 belongs to me. So, Amazon earns 5 dollars on the book, while I, the author, hardly 1 dollar (I bought my books from the Publisher first, then yesterday I sent it myself to that buyer; Amazon did only advertising in this case just charging me (the seller through AmazonSeller the big fees – about 4.25 for this particular book). With $9.00 directly to me from a buyer I will earn about 3 dollars for my own book, which, by the way does not make much sense, because the self-cost of the book – to order from a publisher – is higher than that. Well, I have the books, that I ordered a while ago, so I want to sell those. After that – we will see what happens. We can plan many things, but life (or Amazon) plans for us something else that we do not expect. If you want to send the book as a present, I also can sign it. 1. Email to zoiariga@yahoo.com the name of the book and the shipping address where I should send the book. 3. PayPal** will notify me about the payment. 4. As soon as I have your payment, I will send you the book during 1 business day (should not fall on holiday when post-offices are closed), and notify you about the shipment emailing to the email address from which you connected me about the book. The book ships from AZ or CA – within USA. No deliveries outside USA, sorry! and profound classical writers. 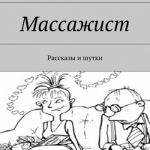 The book is supplied by author’s comments and some Russian language/culture explanations. Sorry for formatting! (That’s the WordPress proud, as they say, creation) – I try here my best. Maybe I will figure it out eventually. Obviously, WordPress does not make it overly customer friendly! I am an educator of languages, not a computer engineer. I do not know HTML language how to change the code of the block so that my formatting go easier for the eye of a reader. Or, yesterday I tried to insert the college logo into my Outlook email signature, and I was not able to! I read online some murky technical explanations, and was not able to figure it out. A computer engineer advised me to Google it. So here we are! Figuring all it by ourselves. Thank you, Google, for the info! Thank you, thank you! Without you, Google, I would be quite informationless. And you do not charge my credit cards without my permission like Amazon does. And you do not ignore author’s concern when an author is trying to speak to you. And you don’t treat intellectual property of other people as your own. And, since I am here on a Google note, I want to add, that one cannot compare the quality of Google translation in the beginning of 2000s with the current quality of Google translation from language to the other foreign language. Even the pronunciation is made by a native speaker of that language. No matter that it sounds a bit electronic, like a robot sometimes, however we cannot go without mentioning great improvement in that area. How many people Google helped! They charge $14.20 monthly fee for PrimeAmazon, even if a person did not apply for Prime. They may just sneak into the two credit cards of a person (Just happened to me). 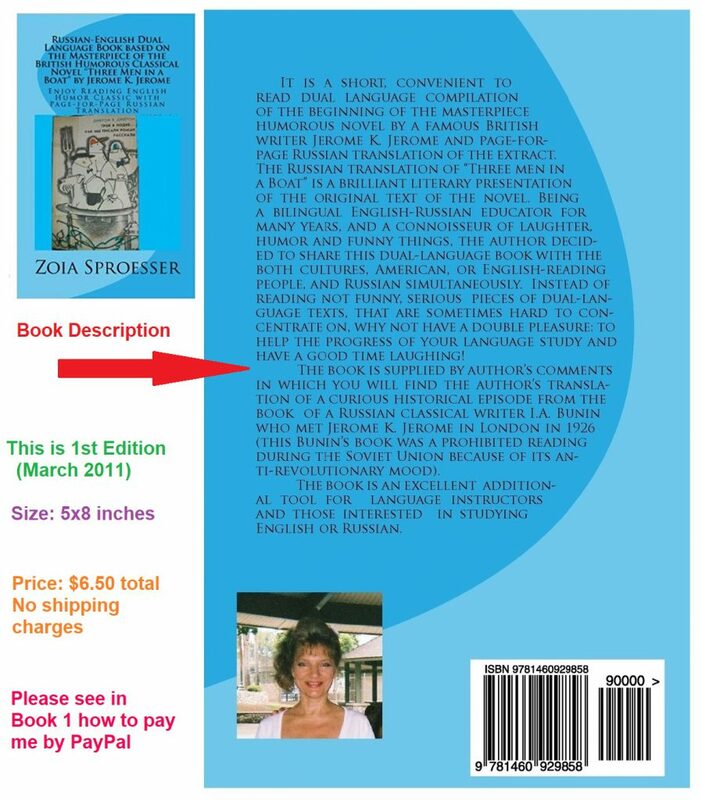 They do not ask the author about the price on his/her book. Amazon just consider himself (itself) the rightful possessor of all authors’ rights and intellectual property (just happened to me that they priced one of my books 3 times lower imposing the Prime membership with its purchase). Amazon rudely violates fair business practices and authors’ rights, and the customer (author, seller) is helpless. I have done my research. If anybody has another opinion, be my guest to share, especially if there is a class action lawsuit against Amazon, because there are innumerous complainers whom Amazon has treated badly and who will be happy to join. I want to thank you, an unknown complainer, who just gave this sober advice that I read yesterday online: “If you have your site, don’t ever deal with Amazon”. Because of you, a smart person you are, I have this post today. Because of you, I will have my own measures applied to deal with the monster. Thank you! This formatting of the paragraph is not very flexible. Sorry for that, my patient reader and/or visitor! By the way, the wrapping of the pasted text does not work here either very well (I am using the WordPress, their new “block” invention for formatting). It wraps the text breaking words in disorderly uncontrollable manner, so I have to do wrapping of the text manually. Thank you, visitors, for your patience and understnding, that this site is constantly under construction and improvement Zoia Eliseyeva on January 3, 2019 from AZ, USA (sometimes I may be in CA, or, occassionally traveling elsewhere). ** PayPal – I have been with PayPal for 8 or more years. Never anything bad has happened from PayPal. They do charge a fee. If you send me 9 dollars, they will probably charge a few cents fee. Not 4 dollars as Amazon does! By experience I can say that PayPal is the company we can trust with transferring money. Sorry, I cannot accept direct credit card payments*** at this time. PayPal will process your credit card. You need to do it from PayPal. There was one more money transferring company. When I find it in my files, I will reconnect with it, and post the information here about that second choice of the method of payment for books. *** credit card payments: I know this will sound funny (in the both meanings of this definition), but I did have very bad experiences with credit card payment processing machine companies; one of them was First Data ( to remember that exact name I need to look it up in my own UTube “zoiacalifornia” where I was posting my fight with them). They were trying to continuously charge a monthly fee my small fashion store business in CA, that I closed in one year. The fight I had in Feb to May 2014! You see, with me, when bad things are over, my brain has a protective reaction: it blocks all of them from easy reach. That was the bad experience fighting that monster who lives out of deception (by their small print agreements) of small businesses. I had many complainers contacting me on my UTube posts about that fight. We, regular people, who sometimes use services of Amazon and First Data have to learn our lessons a hard way, and then we want to stay away from such traumatic, worrysome, time consuming, and health consuming experiences. Huge corporations lived, live, and will live. We, on the other hand, just need to survive through them. You may be able to find my books on Kindle by introducing the title into the search. The Kindle price is always much lower than a physical book’s price. This book’s Kindle Price is $3.99. For some reason Amazon does not link this Kindle edition to the paperback advertising. However, a reader who uses e-devices of all kinds and screen sizes has to keep in mind the particulars of this book. Because of them, maybe it will not open very well on any device. What are this book’s particulars or features? The format is 5×8 inches. The text takes the whole page – Russian on left side page when you open the book, the English translation is on the right side of the 2 opened pages. It is convenient ton read a physical book like this, however on a small electronic device like Android cell phone Samsung Note 7 the page sized 5×8 will not fit, so your reading of this parallel text will be disturbed by these pieces of the Russian and English pages that appear on that small screen. If you are on a big screen desktop PC, the big chance is that you can read this Kindle edition very well, since the pages will open in their full size. This is my first book, created when we did not have many small e-devices. Later, in 2014 and after, I started formatting my parallel texts in paragraphs, so that they follow each other, instead of being on the side of each other. This is a disconnected edition. The book may be available only from the stores who bought it from a publisher before December 2014 or from the authorh – she has a few books of this edition. 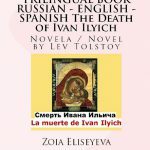 This is a complete text trilingual version of the Leo Tolstoy’s famous psychological novel: Russian-English-Spanish. It opens as three paragraphs of the three presented languages on one page. In an electronic format it will run with the paragraphs separated by single, and pages by double lines. The book is a deeply psychological story by a literary genius of Tolstoy. It can be read in any combination of these three world languages. 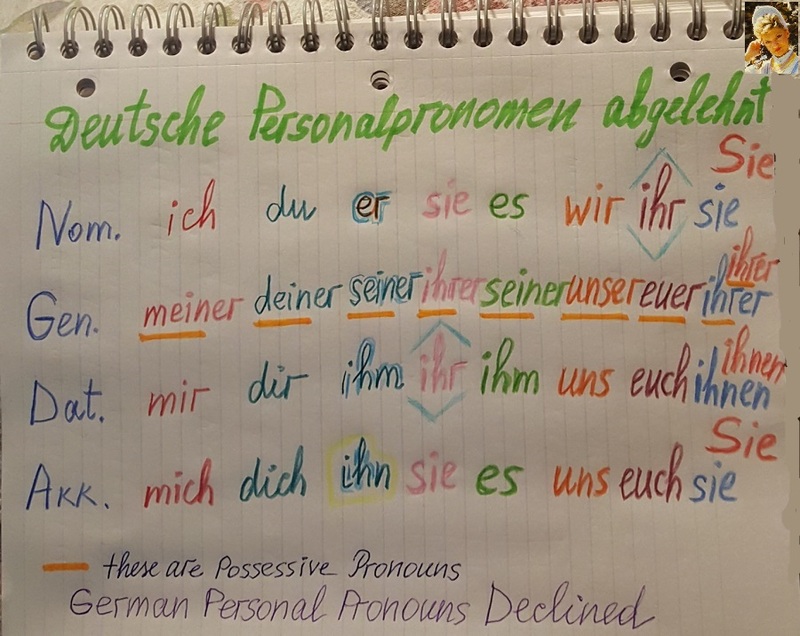 The book can be used by students, professors, or anyone who wants to enjoy the three presented languages. 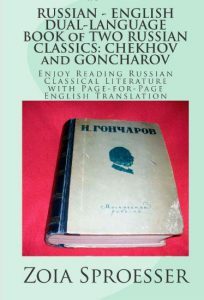 The trilingual text is supplied by the author’s translation of notes from the original 33-year-old Russian edition (Russian to English), as well as with the comments on some of Tolstoy’s vocabulary, and its reflection in the presented translations. Zoia Eliseyeva is a trilingual educator, Russian native speaker in the USA. She has Master’s degree in Education and many publications since 1997: Russian and multilingual. Maybe somebody wants to listen in Russian language Chapter 7 of “Crime and Punishment”. This is the web-page where I posted the audio in 2017. Listen to Chapter 7 of the book. Busy. Busy. Busy. Jokes are coming. In a public library where I am now – no Cyrillic. I came here, into my Posts, with a nice joke in Russian, and then I realized, that there’s no Cyrillic here. 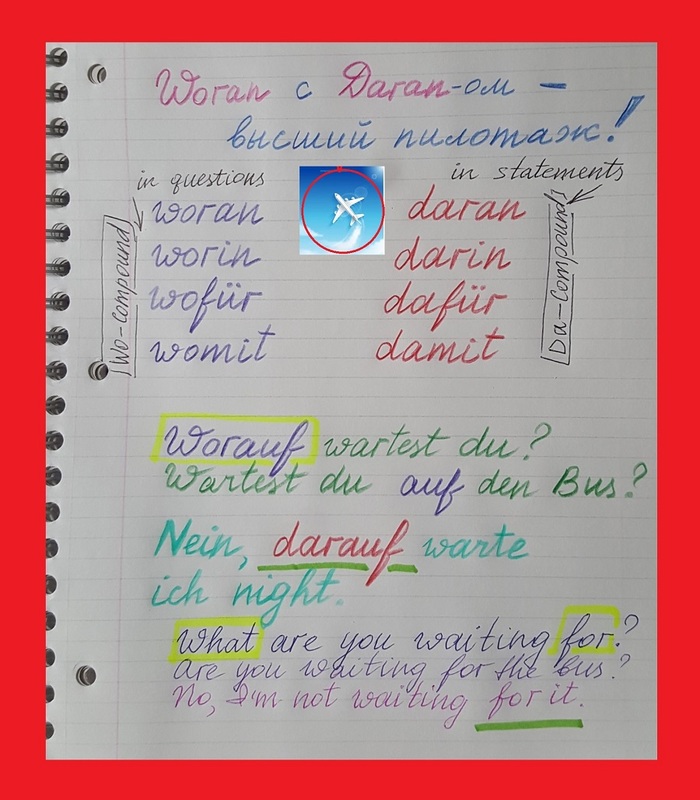 Woran с Daran-ом – высший пилотаж! Happy New Year on the first day of 2019! Today, on January 1, 2019, I wish to everybody excellent health and joyful mood! I also wish successful business to those who work, easy and fruitful studies for students, and also, I wish that all your dreams and wishes for this year come true this year! 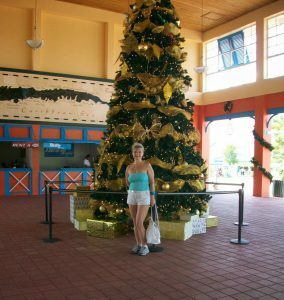 Island Roatan December 2011. One of the Bay islands of Honduras.